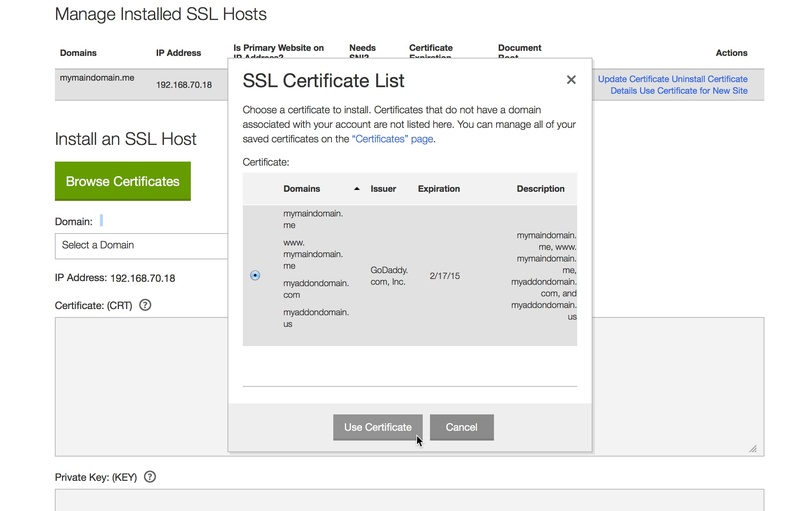 If you want to use an SSL connection for one of your cPanel shared hosting account's Addon Domains, you can purchase and configure a Multiple Domains UCC certificate. Request your UCC certificate (more info). Make sure the Addon Domain you want to use is listed as one of your Subject Alternative Names (SANs). Next to the cPanel account you want to use, click Manage. In the Security section, click SSL/TLS Manager. Note: If there are multiple certificates installed on the account, you must click Browse Certificates, select the certificate you want to use, and then click Use Certificate. 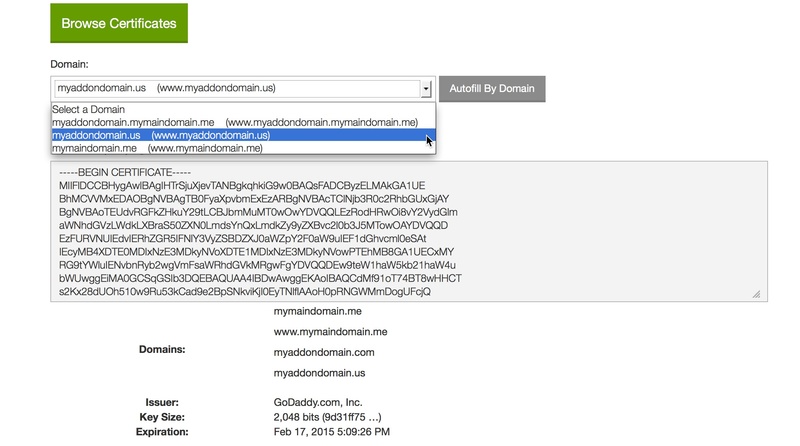 From the Domain menu, select the Addon Domain you want to use, and then click Autofill By Domain. Click Install Certificate and complete the installation process. You need to complete this step for every Addon Domain/SAN you want to use on this hosting account. Multi-domain SAN SSL certificate - errors with www. 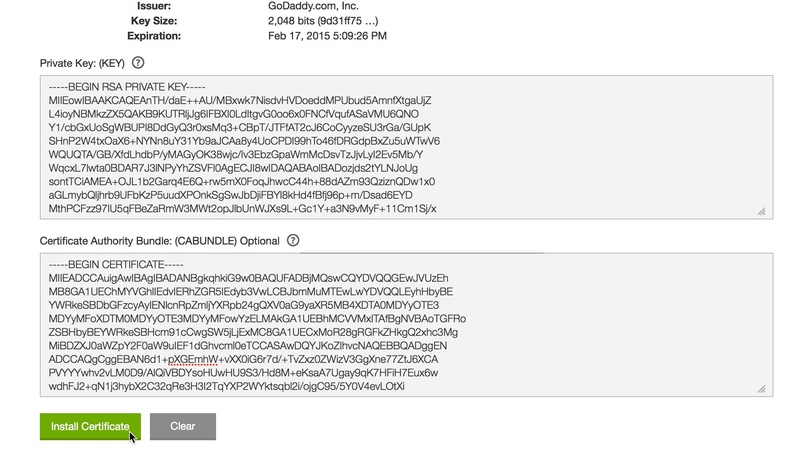 GoDaddy has intentionally vague SSL installation instructions. Can you create a Subdomain for an addon domain? You are not allowed to add more than 0 addon domains. The domain was not setup. Can I create additional logins for my cPanel shared hosting account?